The North-West and South-West regions of Cameroon have been embroiled in conflict for more than two years. English-speaking Cameroonians in the regions have felt increasingly marginalized since the country’s independence, and they began demonstrating for more rights in 2016. Toward the end of 2017, the situation deteriorated when security forces began attacking demonstrations across Anglophone regions that had declared independence from French-speaking Cameroon. Since then, armed movements have been created that have targeted civilians as well as soldiers. When soldiers are killed, troops retaliate by burning and looting villages and attacking and killing civilians. Unfortunately, the situation continues to deteriorate today. The worsening instability and violence has caused more than 180,000 Cameroonians to flee their homes. Most have taken refuge in nearby forests where they are now trying to survive without access to food, shelter, clean water, or adequate healthcare. In response to the urgent need, Medicines for Humanity (MFH) has increased our support, including training and support for Community Health Workers (CHWs). These CHWs are on the front line of this crisis. They provide as much medical help as possible to children and their mothers hiding in the forests who otherwise would have no healthcare at all. Anuh David Acha is a CHW in South-West Cameroon. David and his CHW colleagues are doing everything they can to reach families who need their help. Before the crisis, David used to visit a pregnant young woman, “Abigail” (not her real name) living in Kumba, the biggest city in the South-West. One day, David couldn’t find Abigail at her home and grew worried. He was told she had fled the city because of the violence and was hiding at a coffee farm in the nearby forest. David found Abigail there and discovered she had delivered twins a week earlier. The twins seemed healthy, but Abigail was too frightened of the violence to bring them to a clinic in Kumba for postnatal care and vaccinations. 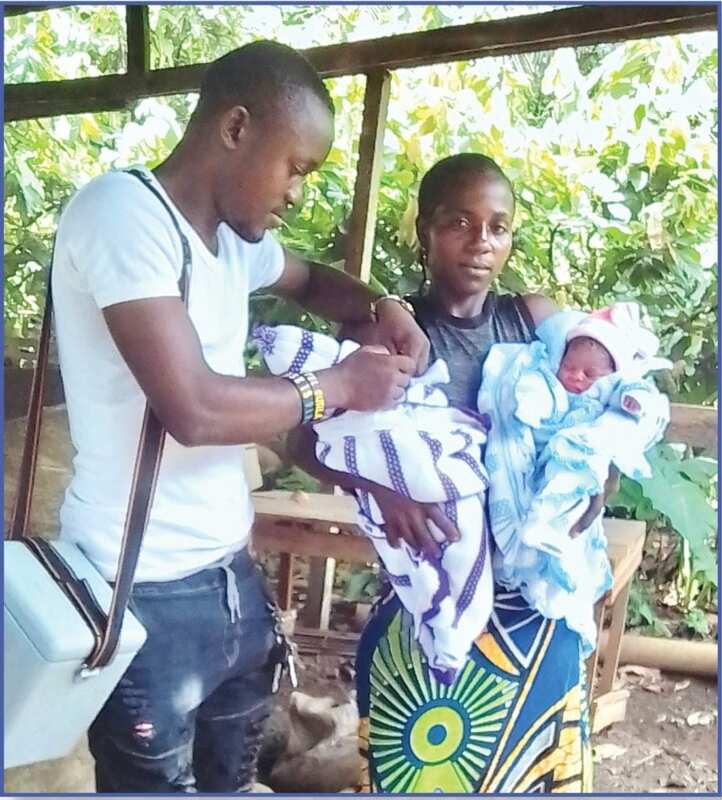 Because David had been trained to provide care and give Ministry of Health-recommended vaccinations, he was able to do a postnatal check-up and provide the healthcare the twins needed as well as vaccinate the babies to help them stay healthy. David’s help was vital to the well-being of Abigail’s babies. The situation in the South-West remains too unstable for Abigail and her twins to return home. Because of this – and because of the many other people that also need help – David and his colleagues are going back into the forest every month to provide as much healthcare as they can. It is 4 km each way, and the military has been known to shoot young men on sight, especially if there is more than one and they are riding bicycles. They are risking their own lives to check on the health and well-being of children, help prevent malnutrition, give healthcare education, and provide vaccinations. Because they are coming across many children who are already malnourished, they will soon begin bringing in fortified foods to help them recover. There is no indication that the violence in the region will end any time soon, and the courage and determination of CHWs like David is making a lifesaving difference for the vulnerable children and mothers who need help the most. In 2011, at the end of a 22-year civil war, Sudan divided into two countries: Sudan and South Sudan. In 2013, cultural, economic, and religious tensions re-ignited. Fighting erupted north of the new border in South Kordofan, between government armed forces and the Sudanese Peoples’ Liberation Movement-North. The Nuba Mountains became a conflict zone. Hundreds of thousands of people have fled their homes. There is very little humanitarian access there… except for Mother of Mercy Hospital and six outlying clinics supported by Medicines for Humanity (MFH). For children, the biggest needs are the basic ones: access to food; access to immunizations; treatments for basic diseases - - which are malaria, gastroenteritis, and pneumonia. These are the three biggest killers that children face in the Nuba Mountains. When the fighting started back in June 2011, the few NGO’s that were there were evacuated. That left the hospital staff pretty much by themselves to try and take care of the population there. Dr. Tom Catena. is the medical director of the Mother of Mercy Hospital and the region’s only doctor. When the fighting slowed down a bit, it became possible to focus more on preventive care. And that’s where the idea for an outreach program with Medicines for Humanity came into play. Dr. Catena and MFH staff met and discussed the collaboration and how to set up an outreach program. We decided to re-establish 6 clinics in the region. We started with 4, and now we’ve expanded to 6. These clinics have become the hospital’s connections out into the community. The six clinics that MFH has helped re-open are now providing more than 90,000 critically-needed health services each year. There has been as much as a 42% reduction in key illnesses that can cause child deaths – mostly malaria, diarrhea, and pneumonia. We have increased the number of pregnant women who receive prenatal and postnatal care by 60%. We’ve trained and supported 153 community health workers and 80 traditional birth attendants. And, there has been a 51% increase in the number of mothers giving birth at a health facility According to Dr. Catena, “If the support from Medicines for Humanity didn’t exist, I don’t think we’d be able to continue with our program… and the outcomes would be disastrous.” On Monday evening, September 26th, Medicines for Humanity will honored Dr. Tom Catena and the Mother of Mercy Hospital Community Outreach Team from South Kordofan, Sudan and presented them with the 2018 Humanitarian of the Year Award. To learn more about life in the Nuba Mountains and our project there, please watch the video below. 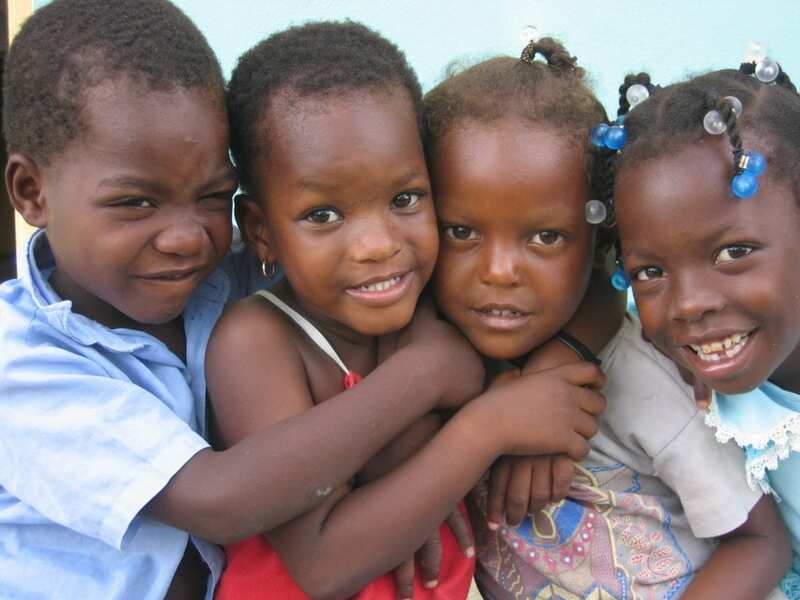 Purchase a gift in someone's name and make an impact on the life of a child. These simple gifts can mean a world of difference in places where medicines, health services education, and economic empowerment are missing. Choose from low cost, effective gift packages that can make a life and death difference to a child. Click here to browse our catalogue of gifts that make a difference.